As you know, Actiview’s goal is to make as many movies accessible to Blind/Low Vision, Deaf/Hard of Hearing, and Foreign Language speaking people as we can for enjoyment both in-theater and at home. You may be asking, what is the Actiview team doing on a daily basis to make this all happen? Well we’re about to tell you! In today’s post, we want to shed some light on the process of working with studios to make more movies accessible, and share some of the challenges we, and the community, face in making equal access to movies a reality. Icons for accessibility features. From left to right — Audio Description, Closed Captions, Amplified Audio, Sign Language, and Translations. Beyond all the technology we’ve built, a big part of our job here at Actiview entails working with movie studios and distributors to get licenses to new releases and home titles so you can enjoy them accessibly. The movie license agreement is the main thing we need in order to be able to provide all of the accessibility tracks that you use on Actiview to enjoy the films. A couple of things about the movie licensing process. 1. We can’t release movies we haven’t licensed — we would love to provide access support for every movie that has been made. In fact, that’s our goal! But we simply can’t release any movies on the Actiview app that we don’t have licenses for. 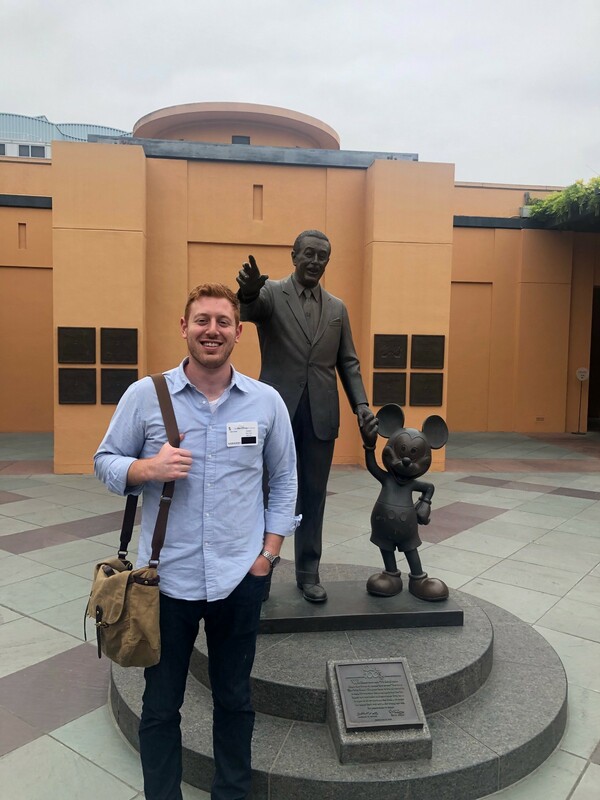 Actiview Founder Alex Koren at meetings at Disney’s offices in Los Angeles, CA, working to get more movies licensed for the Actiview app. Alex is standing in front of a statue of Walt Disney who holds hand of a smaller Mickey Mouse. 2. Each studio has a different licensing process — Hollywood is made up of various studios that produce films. Some of the major studios you may recognize include Disney, Universal, Warner Bros, Lionsgate, and Paramount. Each studio is completely unique in the way they produce, distribute, and license their films. Where one studio may own the rights to license their films, another may license the film out to a third party to distribute. 3. There are totally different teams for new movies in theaters and movies that are available in the home — while you may think that we would talk to one person at each studio to license any film, this is often not the case. Most studios have different people and teams that work on licensing the new movies you see coming out in the theaters versus the movies that you watch at home via DVD, streaming platforms, or on cable channels. 4. Sometimes a contract for one movie can take several months to get — licenses are unique to each movie, and each movie we get on Actiview requires its own contract. 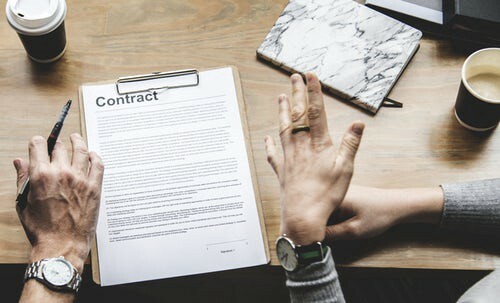 These contracts are subject to in-depth legal review and terms of agreement, which can take weeks to get signatures for and approval of within the studios. If there is even one small change to a contract, it can add days, and in some cases weeks, to the timeline. Two people’s hands on a desk where they are discussing and signing a contract that is on the table. 5. Security is paramount — the studios put a lot of time and money into making great films for people to enjoy. There are rigorous security standards and tests that need to be met and passed in order to ensure that their amazing movies will be protected from pirating and misuse. This is a big and important step and focus for us here at Actiview — ensuring that all access tracks for films that we license are secure and protected. 6. We don’t always get the licenses to EVERY accessible service for a movie — while we always work to get every access track possible, sometimes we are unable to get certain tracks, and sometimes access tracks aren’t available at all for a film. For example, for one film we may be able to get the license to an Audio Description track but not for the Closed Captions. And for another film, we may have the Closed Caption license, but the Audio Description was never even made! We can only provide the tracks that we’re given and we’re always disappointed when we can’t give everyone full access to the movies we’re working with. Another key part of our work is letting studios know that there are real people who NEED access support. How you can help text image. Write a good review of the Actiview app on the app store — every good review shows the studios that Actiview and access are a worthwhile endeavor to support! Use the app! — for every use, we get to show the studios another person who is a valuable customer to them. Be patient and positive! — we’re a 2 person team working to change the way a big industry thinks about access. It’s your support and enthusiasm that keeps us going! We hope this gives you a little sneak peak into the world here at Actiview and the kinds of things our team is working on each day to make untethered entertainment access a reality. If you know anyone at a studio or in the entertainment industry who is interested in supporting access for entertainment, send us a note at team@actiview.co. And of course, we’d love for you to check out the app yourself! Download the Actiview app today and experience Solo: A Star Wars Story with Audio Description and/or Amplified Audio tracks in theaters starting June 1st, 2018.